Have you ever been seen as an “outsider” to society? What makes one a “freak” of nature? Does it harden your heart, or do you suddenly become more empathetic toward all of creation? 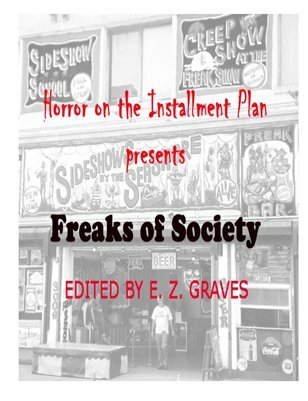 We explore this issue in this month’s theme, “Freaks of Society.” Do freaks repel the normal folks simply because they are different? Or, in a twisted way, does society use freaks to create some kind of perverted counterbalance? Freaks can’t enter the armed forces, after all, and they really are only allowed the specialized existence of the outlier, the observer who may, at a moment’s notice, decide you are the one who is abnormal, and it may be true. Life has a cruel way of reversing, and the “lame enter first.” Now that’s what we call really freaky!